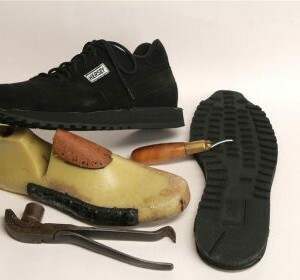 This sturdy hiker is intended for trail use and can be made as either a low cut or a high top shoe. It will easily support larger folks carrying day packs, or smaller folks carrying medium size backpacks. The upper is made exclusively of brown waterproof leather that features one of the highest strength-to-weight ratios available. The high-density EVA midsole provides excellent shock absorption and protection against the surprises of uneven terrain. We have lowered the heel lift to increase stability, and the almost “sticky” nature of our extremely durable carbon rubber off-road sole provides great sure-footedness. In addition, we use a fully board-lasted construction for extra stiffness and stability, and the toe box is reinforced to protect your toes against the threat of abrasion from rocks, roots and other nasties. 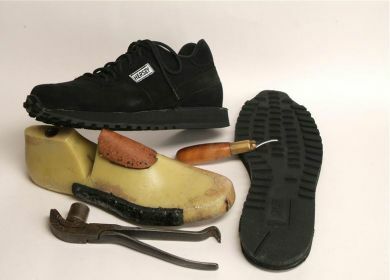 Finally, the truly rugged Hersey Custom Hiker is double stitched and double cemented.